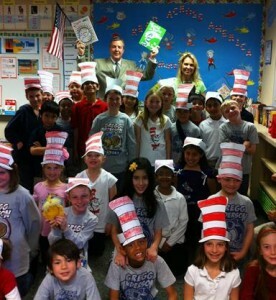 PALMDALE – Last week, students all over the country celebrated the birthday of Dr. Seuss with Read Across America Week. Gregg Anderson Academy was honored to welcome guest reader Mayor Jim Ledford in celebration of this special week of reading. Ledford read several Dr. Seuss books to the students and discussed with them the importance of reading often and reading well. 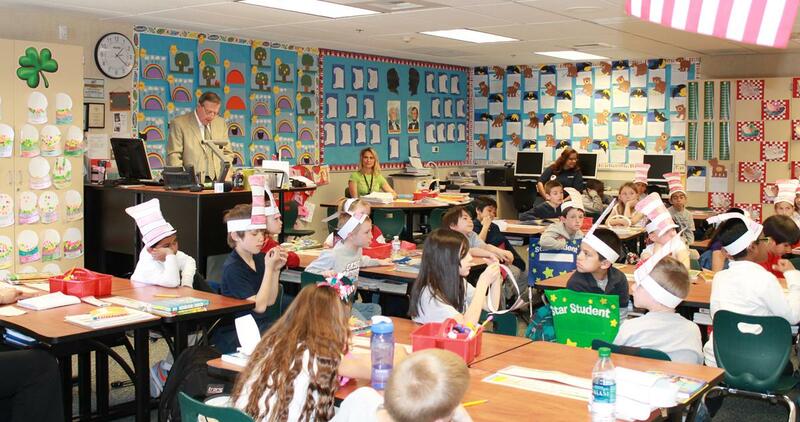 Ledford encouraged students to increase their imagination by choosing books over movies or television. Ledford also held a question and answer period in which he answered student questions ranging from what his office looked like to why it is so important to read books. Ledford’s ultimate message to students was that reading and education are vital to living a happy life. He told students getting their education would lead to finding a job they enjoy.